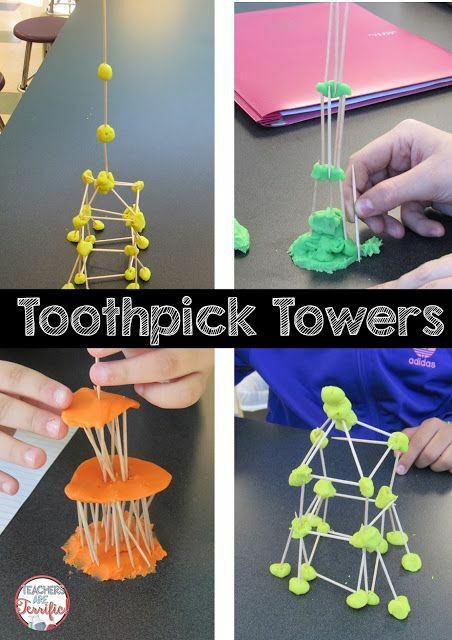 STEM Challenge: Toothpick towers! Students all have the same supplies, but they build completely different structures! Each group adds its own special ideas!